The rabbis of our congregations serve as “models of piety,” or so they are taught in rabbinical schools. Probably no other Jewish leader — even irreverent and iconoclastic social scientists of the Jews — are held to the same standard. 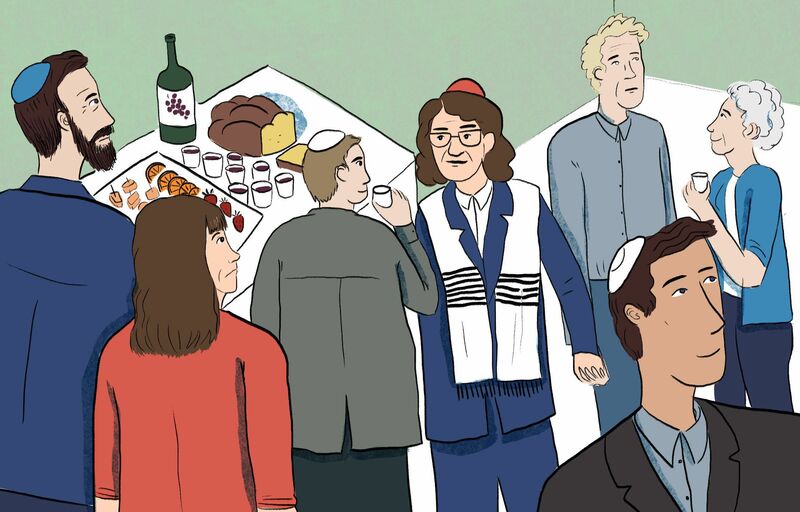 More broadly, rabbis are supposed to embody the preferred aspirations for living Jewishly, while the rest of us get to exercise more latitude around our personal choices. Now, in the case of intermarriage and other contested issues, all this is a bit tricky, in part because as a community we want to undertake two functions simultaneously: We want to be educative and we want to be inclusive. Insofar as we’re educative, then we teach that being Jewish should mean certain ways of thinking, certain values, and certain behavior. Insofar as we’re inclusive, we want to embrace people who for one reason or another make other choices than the ones for which we educate. For truth be told, we are an enormously diverse community, and none of us fully abide by all communal teachings — even if we could agree on the most important. The intermarriage question is even more complex. Intermarriage rates are now at their highest in American Jewish history — 40% among Conservative Jews and 80% among Reform Jews. Few of their children are being raised in the Jewish religion with strong Jewish educational experiences. For these reasons and more, how we respond to intermarriage will determine the future of American Jewry. Can we succeed in effecting two policies: 1) encouraging in-marriage through strong Jewish educational experiences at home and in the community, and 2) encouraging the intermarried families to be fully part of our families and communities? Ideally, the non-Jewish spouses would eventually come to identify as Jews, turning intermarried into inmarried families. And, ideally, all children of the intermarried — as the inmarried — will grow up to identify as committed and engaged Jews. To me, at least, we cannot have our “models of piety” so demonstrably differing from ideal Jewish family configurations. Doing so runs counter to the objective of encouraging in-marriage, even though it may help the other objective of encouraging welcoming and inclusiveness. In short, if you’re asking the question about whether an intermarried rabbi can serve as your spiritual guide and the teacher of your children, then you probably should choose the more attractive congregation with the more conventional rabbi.